Description : Cuphea hyssopifolia is a small tropical evergreen sub-shrub with many charming attributes including compact form and fine textured foliage. 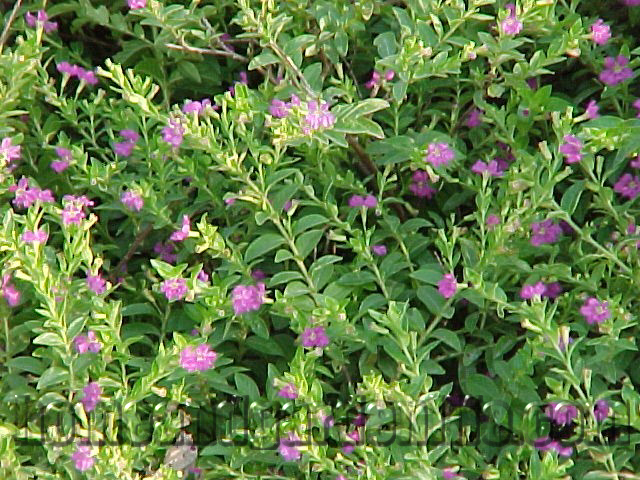 In tropical areas Cuphea hyssopifolia is a perfect choice as a permanent evergreen ground cover. Prefers well drained fertile soil. Foliage color is prettiest when grown in broken shade. When grown as a house plant provide lots of bright light but protect from direct sunlight. Large clumps may be divided. It is easily grown from seed planted in spring.